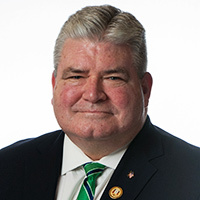 The extension of a statewide moratorium of a fee assessed on commercial development is another step toward fixing the Democrats’ affordable housing policy enacted in 2008, Senator Steve Oroho and Assembly members Alison Littell McHose and Gary Chiusano, all R-24, said today. As part of the Democrats’ COAH law, which further stymied economic development without creating affordable housing, Democrats imposed a 2.5 percent fee on commercial development. But just one year later, Democrats admitted their costly mistake by putting a moratorium on those fees. Acting Gov. Kim Guadagno today signed bipartisan legislation extending that deadline until 2013. Oroho, McHose, and Chiusano applauded the Christie Administration for making sure this fee would not be enacted.